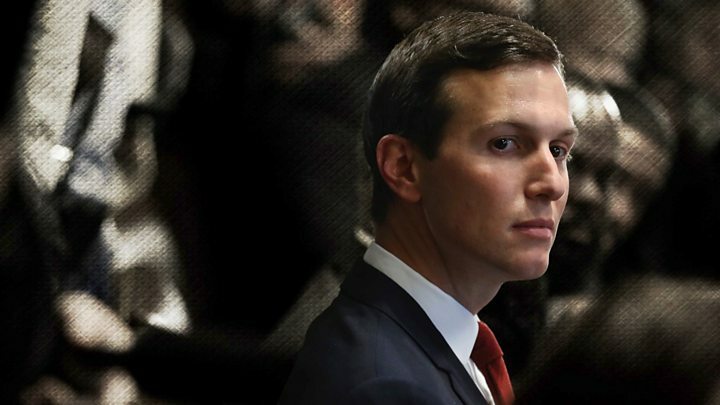 Jared Kushner, White House senior advisor and President Trump's son-in-law, used WhatsApp for official business, a top Democrat says. "The White House's failure to provide documents and information is obstructing the committee's investigation into allegations of violations of federal records laws by White House officials," he wrote. 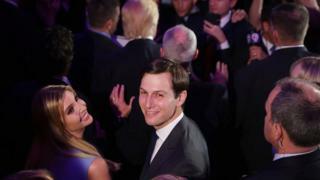 His letter notes that Mr Kushner's lawyer, Abbe Lowell, said his client had sent screenshots of his WhatsApp messages to his White House email account or the US National Security Council. Mr Lowell could not say whether his client, who serves as President Trump's advisor on the Middle East, used WhatsApp to share classified information, he added. But in response to the letter, Mr Lowell said that Mr Cummings had not been "completely accurate", according to Reuters news agency. Mr Cummings also wrote in his letter that Ivanka Trump - President Trump's daughter and Mr Kushner's wife, who is also a White House adviser - continued to receive emails related to official business on a personal email account. White House spokesman Steven Groves said: "As with all properly authorised oversight requests, the White House will review the letter and will provide a reasonable response in due course." What happened with Hillary Clinton's emails? The use of personal email servers has become controversial since the 2016 presidential campaign, when Mr Trump accused his Democratic opponent Hillary Clinton of putting the US "in danger" over her emails while secretary of state. Clinton email probe - what was it about? Chants of "lock her up" were a mainstay at Mr Trump's rallies. An FBI investigation eventually concluded that Mrs Clinton should not face charges, but said she and her aides had been "extremely careless" in their handling of classified information.